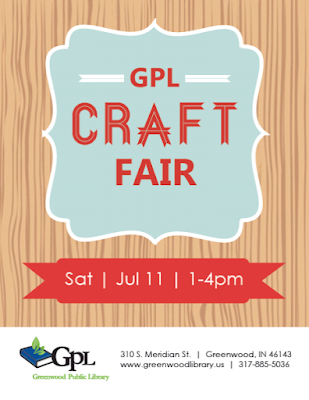 I'm taking a small break from blogging this week to get ready for the Greenwood Public Library Craft Fair! 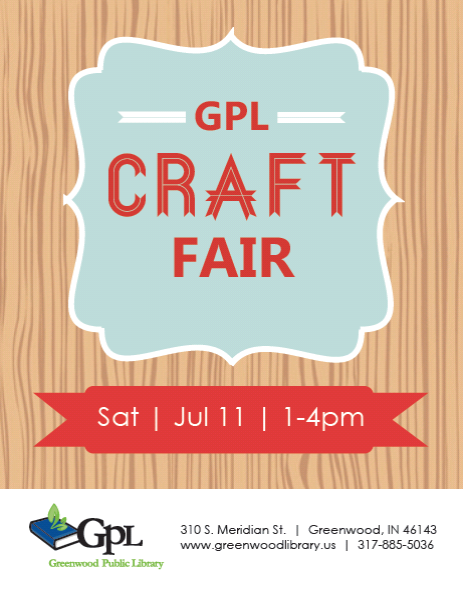 If you're in the Greenwood area, I highly recommend that you stop by this Saturday from 1-4 to peruse some of the awesome wares that local crafters will have for sale. And don't forget to stop by the Barbara's Bag Boutique table and check out some awesome purses, aprons, and crocheted goodies made by my mama. (Side note...I tried to convince her to call her Etsy shop Barb-o Baggins, but she refused.) While you're there you can also pick up a pop culture felt masterpiece from "Felt Fun by Emily." (That's me :) Please come get one. They're cheap, and I have no need for a dozen tablet covers! I'll see you next week with more reviews, lists, and general ponderings!